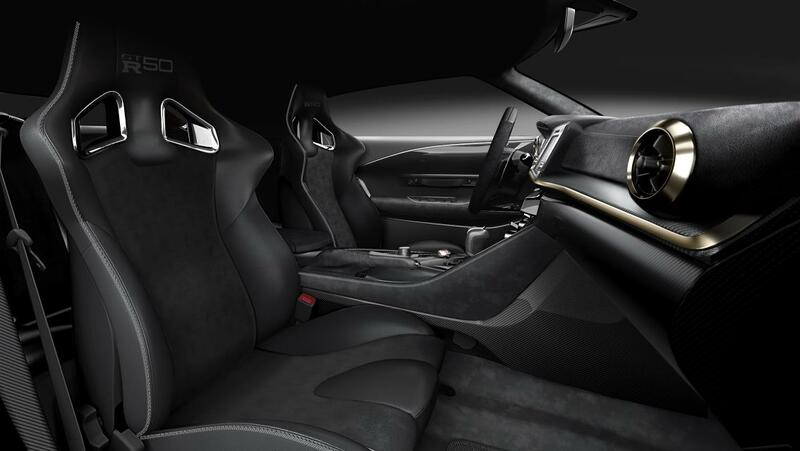 Nissan has confirmed the production design of the Nissan GT-R50 by Italdesign – the ultimate expression of the GT-R – and has opened the official order books for the 50-vehicle limited run. The car’s exterior is virtually unchanged from the prototype first shown in July at the Goodwood Festival of Speed in England. Pricing of the NISMO-tuned 720PS GT-R by Italdesign will start at 990,000 euros before taxes and options. Nissan collaborated with Turin, Italy-based Italdesign to create the model, based on the latest Nissan GT-R NISMO, in commemoration of the 50th anniversaries of the GT-R in 2019 and Italdesign in 2018. In addition to Goodwood, the GT-R50 prototype has made appearances at Spa-Francorchamps in Belgium, the Rolex Monterey Motorsports Reunion in the U.S. and Nissan Crossing in Tokyo’s Ginza district. It will be on display at the Nissan Gallery in Yokohama from Dec. 7.